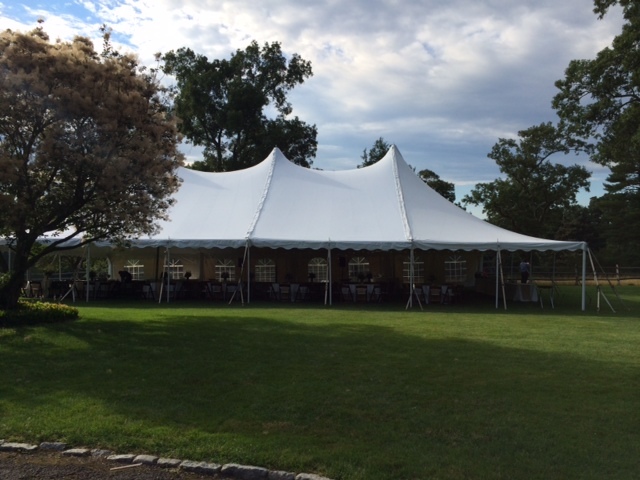 Pole tents provide a traditional look and feel to any event. They have offered the classic design that has been a staple in the industry for decades and are applicable to all types of events. Quality materials, attention to detail, and easy installation, make them a great addition for any party. Pole tents are raised by tension (requiring stakes), supported by side poles and center poles, & available in white. Staking requires an extra 5 feet on each side.